Manila, Philippines – Former President Benigno “Noynoy” Aquino III appealed to Duterte administration to be more transparent in its negotiations with China when it comes to the West Philippine Sea issue. Aquino said, negotiation transparency is important to properly address the concerns of the Filipino people and to avoid unwanted thoughts. "Pakiusap. Baka pwede ipakita ang negosasyon nila, mas maging transparent tayo dito. Para mawala ang agam agam ng mga kababayan natin. Ang kawalan ng impormasyon, medyo kung ano ano ang papasok sa kaisipan," the former President said. 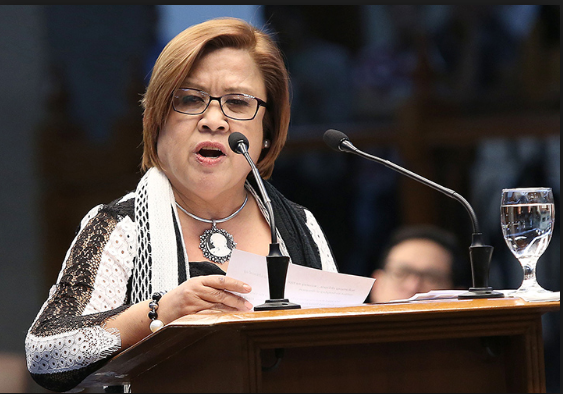 Aquino was among the guests during the Liberal International's awarding ceremony, where detained Senator Leila De Lima conferred the “Prize for Freedom” award. Aquino slammed a statement of an official without dropping the name, who said that the Filipino fisherfolk are anyway permitted by China to fish in Scarborough Shoal. Sometime in June, Presidential Spokesperson Harry Roque brought fishermen from Zambales in the Palace briefing to confirm that they can fish freely in Scarborough Shoal. This happened after reports came out that Chinese coast guards were taking their catch. Then Aquino added: "Sa'yo ito, di ba exclusive economic zone, papahintulutan kang mangisda sa exclusive mo, parang may mali ho yata sa statement na 'yun." "Noong pagbaba ko sa pwesto, tapos noong arbitration, sinabi ng China na patungo na tayo doon," he said. "Matanong lang, andon na ang intensyon na magkikita na tayo. In 2002, may intensyon na noon. 2012 pinaalala ko sampung taon na ang tumakbo, wala pa rin tayong meeting d'yan. Nasa 2018 na tayo, papunta na nga ba talaga tayo doon na merong konkretong code of conduct?" The code of conduct refers to the rules set outlining the norms, responsibilities and practices on the disputed West Philippine Sea. Aquino also downplayed the recent election of Gloria Macapagal Arroyo as the new House speaker, saying that it was her last term anyway. "May more or less, effectively, ano pa ba ang magagawa sa kongreso sa natitirang period na ito na nagbukas ang session," the former executive said.